California is known for its many diverse ecosystems that are home to thousands of unique native plants. 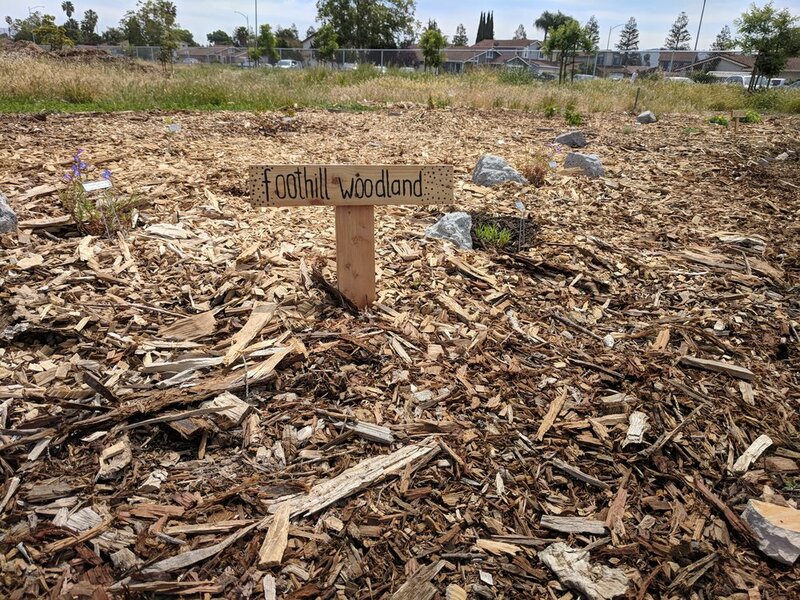 The seven ecosystems featured at Martial Cottle are coastal sage scrub, chaparral, coniferous forest, riparian, oak woodland, foothill woodland, and valley grassland. Restoring native ecosystems is crucial to preserving soil fertility, preventing runoff, and providing food/homes to native animals. 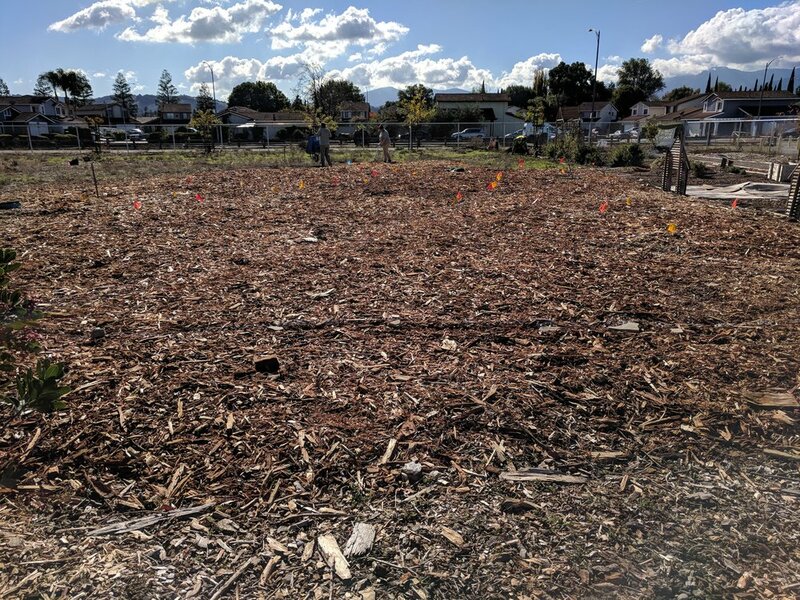 While restoration projects are typically thought of as large scale events, converting your own lawn into a native garden can have tremendaojs impact! 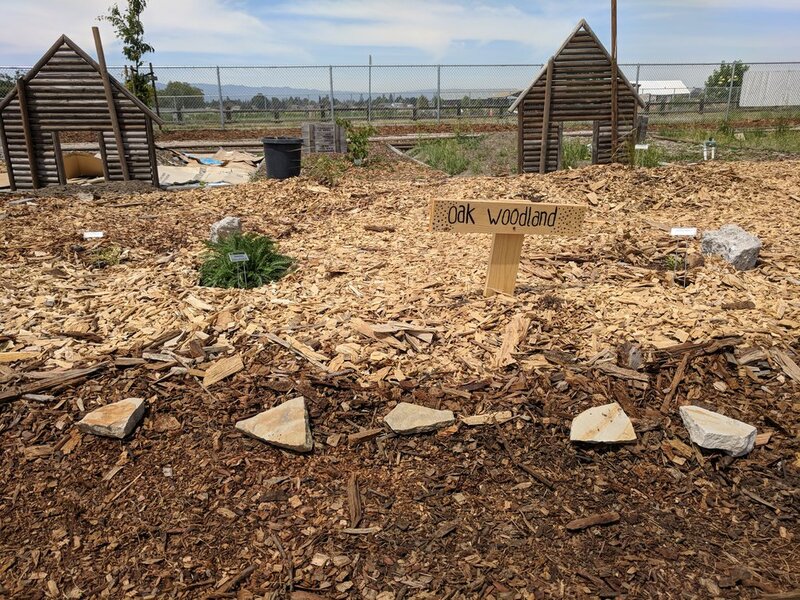 Keep reading to learn a little bit more about the seven ecosystems that inspired our Native Garden and how you can use them in your own yard. Near the ocean breeze a variety of sages and other hardy shrubs protect themselves from desiccation in the warm shadeless sun through a variety of ways. Some adaptations include small needle-like leaves, light green color, and woody stems. Coastal sage scrub is also among the most threatened ecosystems, facing numerous challenges for land management and conservation. These species typically occupy drier sites, some shrubs may store water in succulent leaves and stems, and others produce aromatic oils from the leaf surfaces which makes them less appealing to grazing animals and may reduce water loss. Bee’s Bliss Sage (Salvia ‘Bee’s Bliss’) H: 1’-2’, W: 6’-8’ As the name suggests this sage is especially attractive to bees, smells great, and can be a beautiful groundcover. Bladderpod (Isomeris arborea) H: 3’-4’ , W: 3’ A versatile shrub that attracts hummingbirds and requires very little water. The chaparral ecosystem is the most abundant vegetation type in the state. It is typically comprised of several evergreen species, meaning species that remain green for the entire year, even winter. Chaparral ecosystems provide many services, such as the stabilization of steep slopes, filtration of drinking water, and a myriad of recreational opportunities. This plant community which derives its name from the Spanish word chaparro, which means 'little oak' and refers to a thicket of scrub oaks. Coyote Brush (Baccharis pilularis) H: 6’ W: 10’ It is also known as “Cowboy Cologne” due to the strong, sweet fragrance that it gives off, and it is easily found in the wild. Under the outstretched arms of towering oak trees these shrubs often take root. This ecosystem has been significantly reduced in extent by agricultural and residential development. California’s foothill oak-woodlands cover about 5 million acres along the coast range and in a ring around the central valley. The oak-woodlands form a transition zone between the annual grasslands that surround the agricultural central valley and the mixed coniferous forest at higher elevations. Yarrow (Achilea millefolium) H: 2-3’ , W: 2-3’ Yarrow has many uses in herbal medicine, and makes a great drought tolerant lawn that can be mowed! Creeping Wild Rye (Leymus Triticoides) H: 2-4’, W: 2’ It is used for soil stabilization, especially near riverbanks. It is also a great habitat for wildlife, and serves well as a forage for grazing animals. Beneath the shade of tall evergreen trees lies a diverse understory comprised of a variety of shrubs. These shrubs make up the forest floor and can be both delicate and hardy. Many of these shrubs are edible or produce berries, providing food to animals that call the coniferous forest home. Ideal conditions in this ecosystem are those that are moist, cool, and provide shade. Red Flowering Currant (Ribes sanguineum glutinosum) H: 6.5’-13’ , W: 7’ Has soft velvety leaves and edible berries. Snowberry (Symphoricarpos albus var. laevigatus) H: 2-6’ , W: 4-6’ Snowberry has lovely white berries in autumn and is great for native gardens. It attracts hummingbirds, as well as other birds, and other pollinators. It is a durable plant that can thrive in many sun and soil conditions. Amongst the oaks and other trees that grow in the foothills, there are a variety of shrubs that embrace the topography of the slope and use it to their advantage. 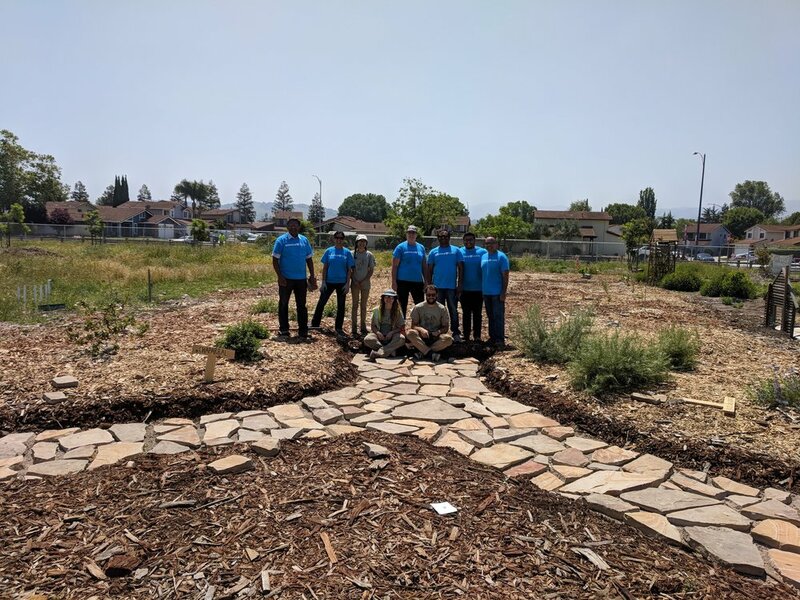 Many of these shrubs require an incredibly small amount of water survive because of the drainage that the foothill provides, this can be mimicked in your landscaping through the creation of mounds which provide better drainage to plants. Manzanita, Howard McMinn (Arctostaphylos manzanita ‘Howard McMinn’) H: 3’-6’ , W: 6’ With visually interesting red bark, and almost no water needs, Manzanitas are a great addition to any lawn. Sticky Monkey Flower (Diplacus aurantiacus) H: 2’-3’, W: 3’ Found in many nature parks throughout the Santa Clara County, this shrub has beautiful orange flowers and dark green leaves. 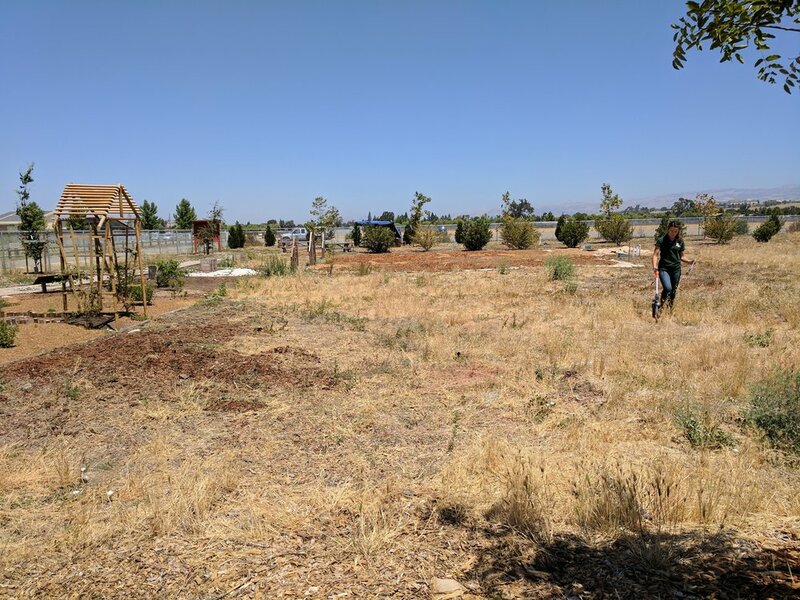 Native grasses make up a large part of our surrounding ecosystems in California. Hardy grasses are able to survive droughts and other severe conditions. Grasslands are critical in regulating water flow, and can typically survive flooding events. Siskiyou Blue Fescue (Festuca glauca ‘Siskiyou Blue’) H: 1’-2’ , W: 1’-2’ A hardy blue grass that will add accent color to your lawn, can be trimmed if grows too large, but otherwise low maintenance. Deer Grass (Muhlenbergia rigens) H: 3’-4’ , W: 3’-4’ This beautiful grass will add texture and visual appeal to any lawn, grows quite large so provide ample room when planting. Near the shores of rivers, a unique mix of shrubs thrive in areas where there is extra moisture. Riparian areas have abundant, nutrient rich water sources, and are often seasonally disturbed by moving water. Riparian habitat provides riverbank protection, erosion control and improved water quality. Riparian forests have largely been lost to stream channelization, development, logging, grazing and water diversion throughout the west. Only 5% to 10% of California's original riparian habitat exists today and much of the remaining habitat is in a degraded condition. California Aster (Aster chilensis) H: 1.5’-3’, W: 2’-3’ . Continues to grow through rhizomes after being planted, and will cover an area quickly, pretty flowers. Salt Bush/Quail Bush (Atriplex lentiformis) H: 10’-15’ , W: 10’ Attracts quail, makes for a great hedge shrub. 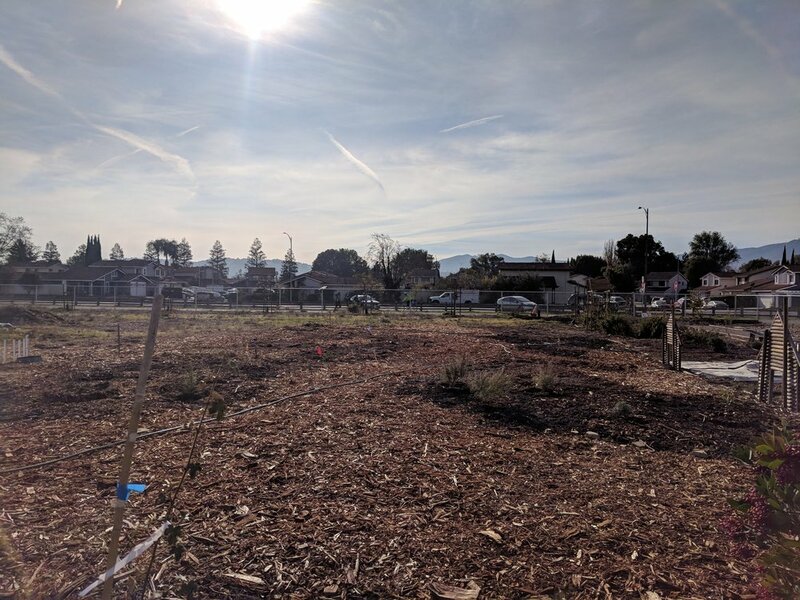 Donate directly to Martial Cottle Park by going to: Special Projects Donation- add a note to your donation designating it to our Martial Cottle Parcel. 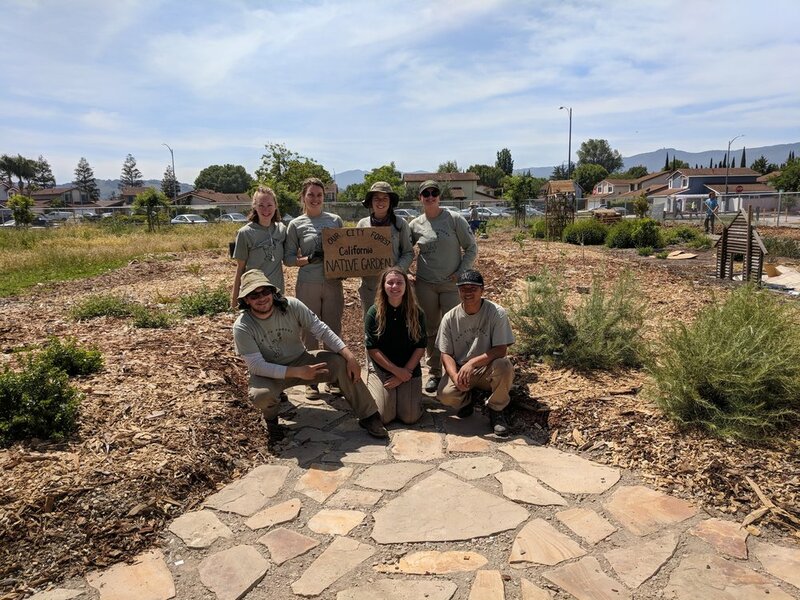 Big Thanks to Khols, Hyatt Place, Balance Staffing, Flextronics and all volunteers that have helped transition OCF's parcel from a field of invasive species into a beautiful native garden.